Perhaps the greatest lesson in studying Scripture is questions asked in one part of the book have answers and echoes in other parts – but the sound doesn’t come through clearly unless we lay down our preconceived notions and listen as a little child. Did Isaiah write this about the Messiah? Luke, Paul, and Peter seem to think so since they reference this passage in their writings about Messiah Yeshua (Luke 2:34-35,Romans 9:32-33,1 Peter 2:7-8). 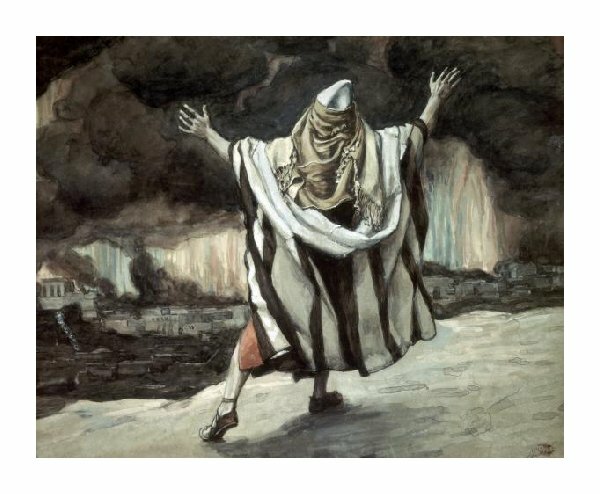 Yet prevailing Jewish opinion would disagree – an opinion, by the way, which is rooted in centuries of convincing logic based on sound interpretation of Scripture. 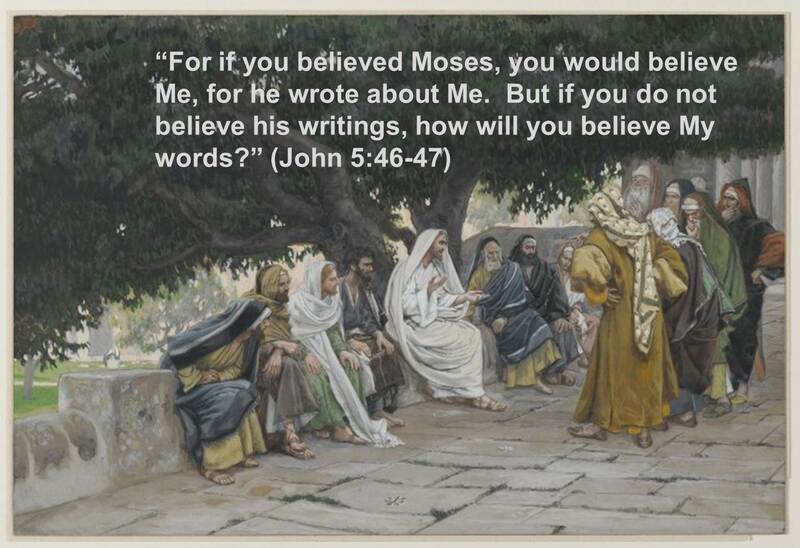 So is Yeshua the Messiah, or not? That is the question Jews and Christians have each settled in their minds through the centuries. None seems to be able to convince the other, although the arguments on both sides are sound. This is where we need the opinion of someone who has studied both sides of the question. And that is why we have asked Frank Houtz to return to The Remnant Road to continue the conversation we began with him on our last show. In his experience as a co-founder of Congregation Beit Minorah, Dry Bones Restoration Company, Kentucky Covenant Education Corporation, and Jefferson College at Pilot View, and as an Elder for B’ney Yosef North America, Frank has had ample opportunity to study the different approaches to the Scriptures and to Messiah from the Jewish and Christian/Messianic perspectives. What may surprise you is not what each side believes, but why and how those beliefs developed – from the same sources! Frank will be with us during the second hour. 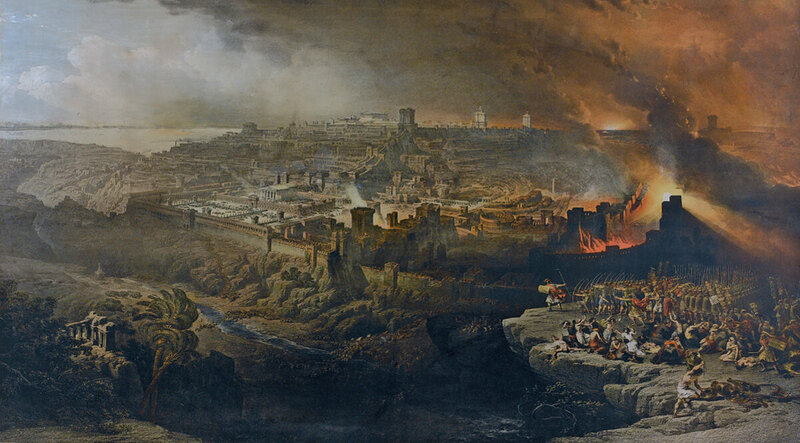 In the first hour, Al and Barry will continue discussion about the monumental events happening around the world in this season, the centennial of history-changing developments that opened the way for the rebirth of the nation of Israel. Join us for another exciting journey along The Remnant Road! Understanding context requires a lot more effort than we are generally willing to expend. THE WAY is available for preorder! There is BIG news for the Messianic/Hebrew Roots movement! The long-awaited documentary by Luke and Kayte Abaffy is now available for preorder! “The Way, The Truth & The Life: Leaving Churchianity Live Like the Savior” will be released on August 14, 2016. To order copies now, visit the web page at https://www.thewaydoc.com/. Not sure what “The Way” is about? 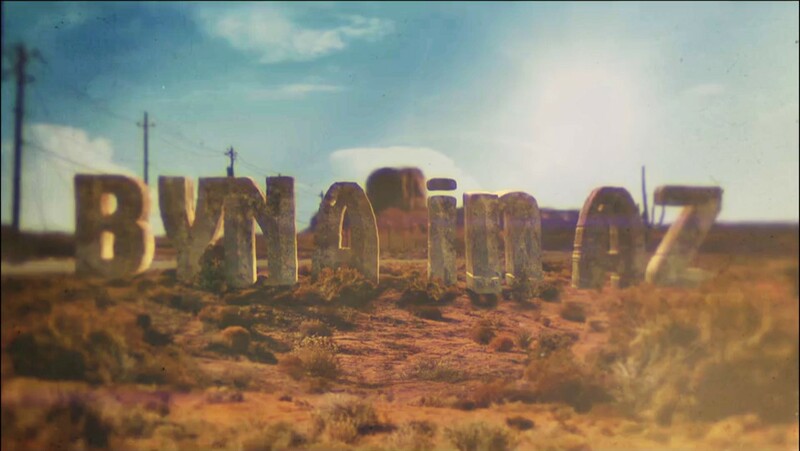 Check out the newly-released official trailer. . .
. . .and then order two DVDs – one for yourself, and one for a friend. Isaac Asimov could have written I, Robot without Karel Čapek’s help, but he would have needed a different word for the artificial life forms featured in his writing. Asimov’s robot stories shifted the paradigms of science fiction by exploring the unintended consequences of creating something smarter and stronger than a human, but without a human’s ethical configuration. For over half a century he probed dark and difficult territory, asking questions and spinning scenarios that remain disturbingly applicable to our present reality. Yet Asimov neither invented the word “robot”, nor initiated the inquiry into the potential nemesis of unbridled technological innovation. Bad things happen when man plays the role of God, as Mary Shelley demonstrated in 1818 with her first novel, Frankenstein; or, the Modern Prometheus. Shelley brought the question into the modern era, but it was Karel Čapek who mechanized it. Čapek’s play R.U.R. (Rossumovi univerzální roboti; Rossum’s Universal Robots) was a success from its first performance in 1920. The play introduced international audiences to the Czech word robota, meaning hard work, a word rendered into English as robot. The play is not a comedy; in Čapek’s imaginary world the robots are manufactured life forms designed to assist humans, but eventually they rebel and extinguish all human life. Čapek revived this scenario in War with the Newts, a novel published in 1936 as satire on the hypocritically self-serving international system which enabled Nazi Germany’s dismemberment of Czechoslovakia two years later. 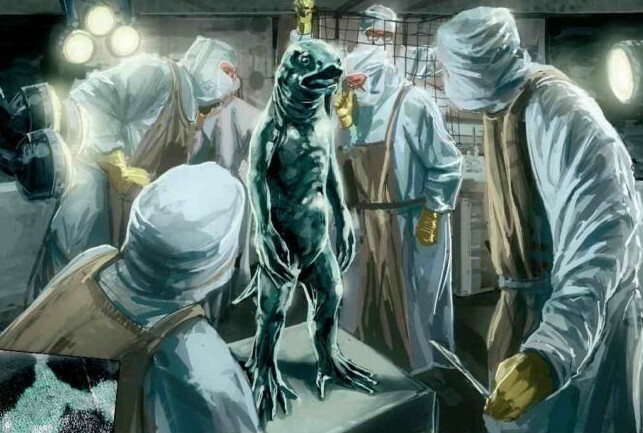 It is a humorously dark tale about a race of sentient amphibian creatures discovered in the waters of Indonesia. The newts prove to be swift learners and adept at a multitude of tasks, making them ideal candidates for exploitation not only as workers, but also as undersea warriors. In time the newts, like the robots, rebel, destroying the dry land and turning it into shallow waters suitable for their environmental needs. The nations of the earth find themselves in a war for survival against a global amphibian army. It is a war humanity will not win, but Čapek reveals that the victorious newts will turn on themselves and become the instruments of their own destruction, leaving a remnant of mankind to rebuild the planet. What this passage tells us is that Sodom’s sin was lawlessness. The people of the city decided that they could determine what was right and wrong in their own eyes without regard to the true standards of righteousness established by their Creator. That arrogance led to a simultaneous increase of wealth and of poverty as the people of Sodom enriched themselves at the expense of the needy. Their world began to revolve around their stomachs and their pleasures, and in time that led to the abominable behaviors which triggered ultimate judgment. This is the chain of moral dissolution the Apostle Paul traces in Romans 1:18-32. If this is indeed so, then what the Supreme Court decided was merely an indicator of the corruption at the heart of our nation. Who is to blame? Everyone, of course. 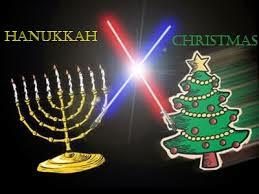 We can start with the Body of Messiah, which is no less as arrogant and filled with selfishness as the rest of society. With pious faces, we check the box of religious devotion so that we may with gusto engage to excess in our private indulgences. That is a point in an excellent commentary by blogger Ed Cyzewski in his post, “The Supreme Court Just Gave American Evangelicals A Gift”.
. . . the land thou abhorrest shall be forsaken. . .
Isa 7:14 Therefore the Lord himself shall give you a sign; Behold, a virgin shall conceive, and bear a son, and shall call his name Immanuel. Butter and honey shall he eat, that he may know to refuse the evil, and choose the good. For before the child shall know to refuse the evil, and choose the good, the land that thou abhorrest shall be forsaken of both her kings. Is it possible to be a hero without paying a price? A hero is one who does something worthy of esteem on behalf of someone else, and that requires sacrifice. Sometimes it requires the sacrifice of a life, and sometimes merely the sacrifice of time and attention. Sometimes heroes save nations, and sometimes they save little children from tears of embarrassment, pain, or grief. Every act of salvation, no matter how small, entails a sacrifice that someone offers willingly. And that is what makes a hero. We learn about heroes in The Karate Kid, a 1984 film starring Ralph Macchio as Daniel Larusso, a fatherless teenager very much in need of a hero. Daniel suffers a vicious beating by boys from a local martial arts school. He is saved by a humble janitor, Mr. Miyagi (played by Noriyuki “Pat” Morita), who drives off the attackers with a masterful display of karate skills. 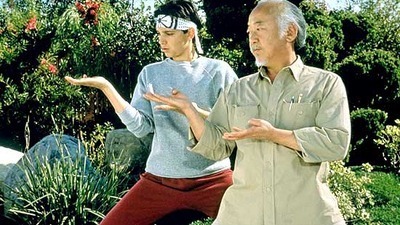 Before long Mr. Miyagi agrees to teach karate to Daniel. The instruction begins when Miyagi assigns Daniel a number of hard tasks. First he must wash and wax Miyagi’s antique automobiles, using special hand motions to “wax on” and “wax off”. Then he must sand the walkway around Miyagi’s house, paint the fence around the property, and finally paint the house itself. Each task features a specific set of hand motions. After days of arduous labor, Daniel complains that he has learned nothing about karate while working like a slave. Miyagi responds by having Daniel perform the hand motions for each task. He then throws punches and kicks at Daniel, demonstrating that “wax on, wax off”, “sand the floor”, “paint the fence”, and “paint the house” have trained the boy to defend against attacks from many angles. As he blocks Miyagi’s attacks, Daniel realizes the truth: his faithfulness in seemingly unconnected menial tasks has made him ready for further instruction and greater responsibility in the art of karate. In time Daniel becomes competent at karate and confident in himself as Miyagi’s training transforms him from a self-absorbed braggart into a self-controlled warrior. In the concluding scenes he enters a martial arts tournament where he faces the boys who first attacked him. Each is a formidable opponent, yet while Daniel learned karate as a means of disciplining himself in service of others, they had learned it as a means to exalt themselves over the weak. They do not realize that the humble attitude Miyagi cultivated in Daniel has made him stronger and better able to withstand pain and suffering. Their combined efforts at wounding and weakening Daniel only help him discover deeper wells of strength which in the end bring him victory. Is the Bible really split into two pieces, or is it one big book telling the same story of God’s redemption and restoration of His creation? Conventional wisdom says it’s two books: the Old Testament, which deals with Israel, and the New Testament, which deals with the Church. 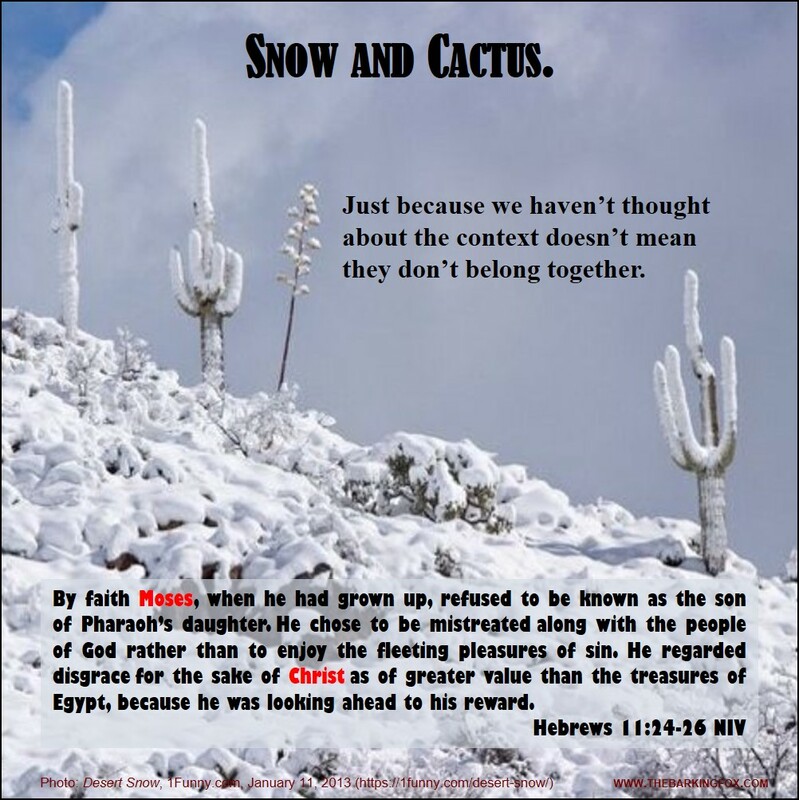 Messianic and Hebrew Roots believers have a different understanding. There is only one Book, there is only one Author, and there is only one Word. The Word is Yeshua of Nazareth, the One we believe to be Messiah, and the One Who gives meaning to the entire Book, from Genesis to Revelation. This is the message presented by Pete Rambo, my friend and fellow Hebrew Roots blogger. At the beginning of this year Pete began teaching a Sunday School class in a local church near his home in South Carolina. 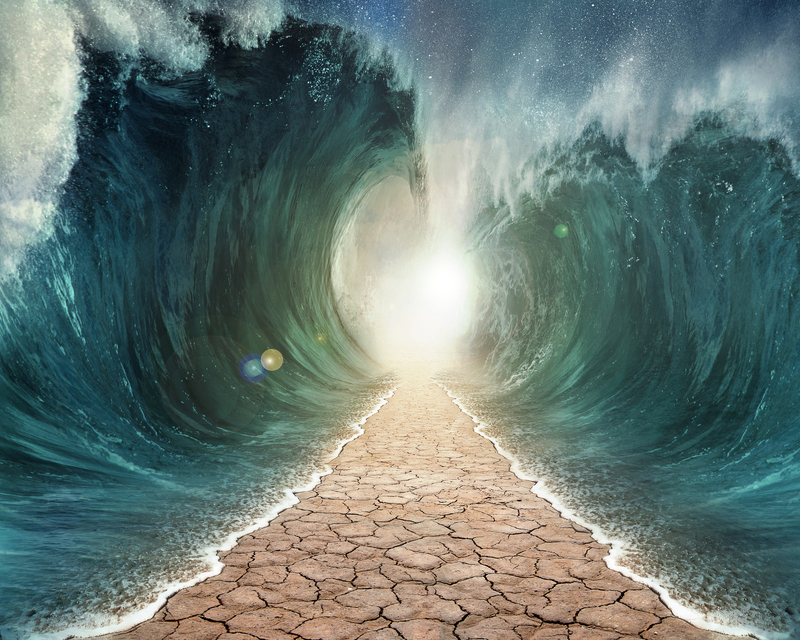 Using his considerable training and experience as a pastor, Messianic congregational leader, and Hebrew Roots scholar, Pete presents an astounding Scriptural case for the revelation of Messiah Yeshua from the earliest chapters of the Bible. 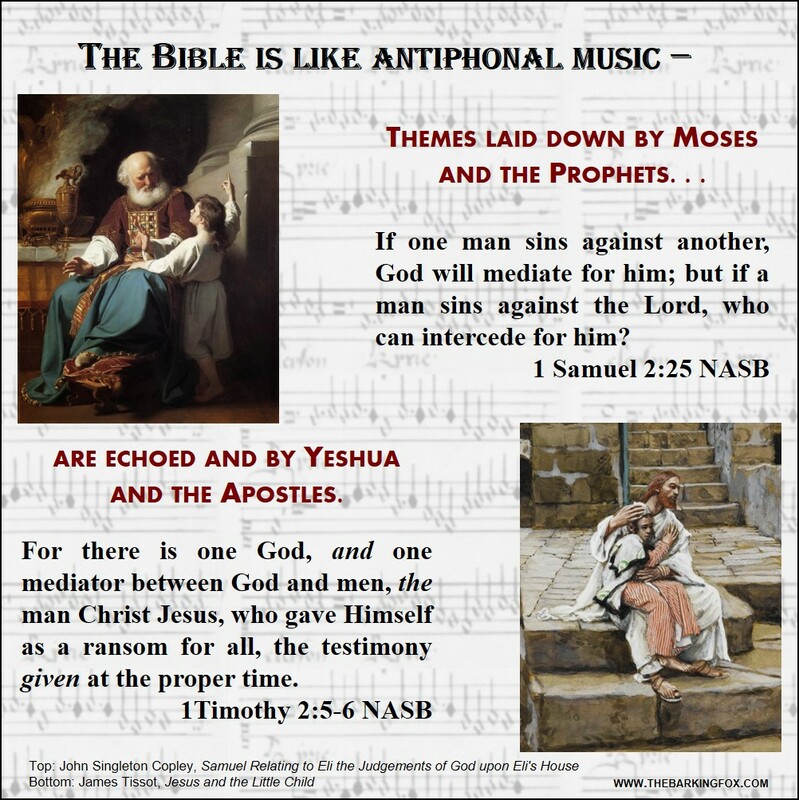 You will be amazed at the connections he draws between well-known “Old Testament” (Tanach) accounts and the revelation of Yeshua in the “New Testament” (Apostolic Writings). The links below take you to audio recordings of Pete’s Sunday morning teachings. It is well worth the time to listen and test his presentations. If it were just a matter of listening to sound teaching, that alone would be reason enough to click on these links. There is, however, a matter of far greater urgency. Pete touches on that in the last link in the list, “’Who Said?’ and ‘I AM the Truth’”. In these days the Lord is awakening His people in the church to things we have missed for nearly two thousand years. Namely, we have missed the Hebrew identity of our Savior, our faith, and ourselves. That is the reason for this Torah Awakening which is captivating Believers in Yeshua across the globe. There is an urgency in this: if we do not learn and keep the Commandments of the Lord, then we miss out on the fullness of our calling and the fullness of the blessings He desires to pour out on us and, through us, to the world. 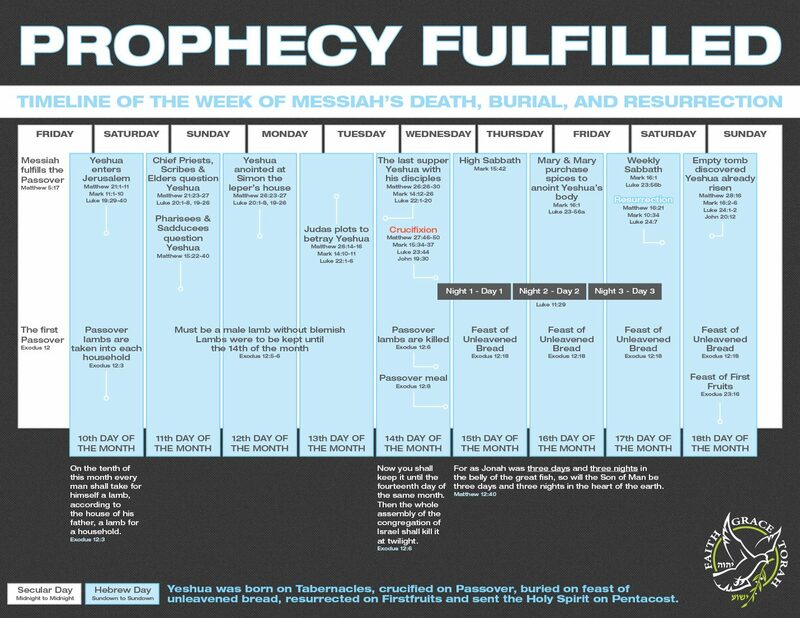 If we are indeed in the Last Days, then this is the time our King is restoring His Kingdom of Israel, and He is acquainting His subjects to with the need to walk in the obedience their professed allegiance to Him requires. That is the subject of another recent post Pete published which is reproduced in full below. Please read through this prayerfully.